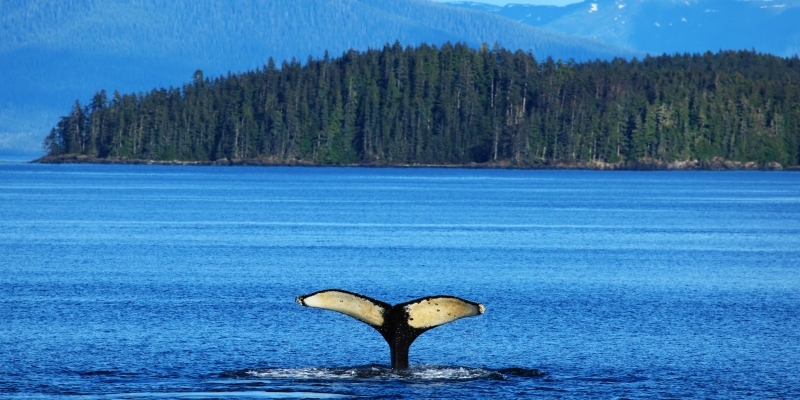 Regarded as one of America’s finest and captivating sailing destinations, Alaska is a world of untamed natural beauty. Here you will find nature at its finest with the opportunity to view incredible sights such as grizzly bears, whales in their natural habitat and eagles that are not to be found anywhere else in the world. Part of the attraction of a destination such as Alaska is its isolation and seclusion whilst sailing its vast waters. Exploration by yacht is perfectly suited to Alaska because the majority of the interior is inaccessible by road. So why not explore this incredible and unforgiving landscape whilst in the luxurious surroundings of your privately chartered yacht. Alaska is regarded as one of the last great destinations of unspoilt natural beauty in the world. With its crystalline waters and the untouched natural habitats that all kinds of truly wonderful wildlife call home, a yachting holiday in Alaska could well be the most breathtakingly luxurious holiday you’ll ever experience. Chartering a yacht in Alaska means you’ll find nature at its finest, and have the opportunity to view incredible sights such as grizzly bears roaming the wilds, whales cavorting in their natural habitat and majestic eagles, that can’t found anywhere else in the world, soaring high about the frozen plains and mountains. To charter a yacht Alaska is to set sail on a voyage of discovery that is like few others in the luxury yacht world. Nature is the canvas of a journey that will compel to learn and understand more about the natural world around us,while finding time for yourself on a mission for both the mind and soul. What cities can I reach on a cruise around Alaska? There are a variety of routes you can sail on a chartered yacht tour of Alaska, one of which takes you from Sitka in the south to Juneau in the north east, crossing the paths of large islands and taking the stunning natural scenery – no other place in the world compares for such dramatic backdrops that will provide you with such spectacular vistas. Whales can be spotted frequently here whilst they thrive in their natural habitat of ice cold waters, and the glaciers will amaze even the most seasoned traveller. Alaska has a wealth of incredible sights that are waiting to be explored. 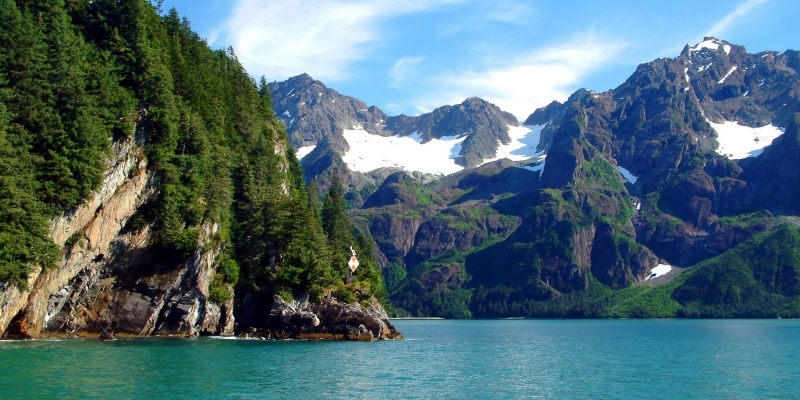 What to see on a luxury yacht charter in Alaska? 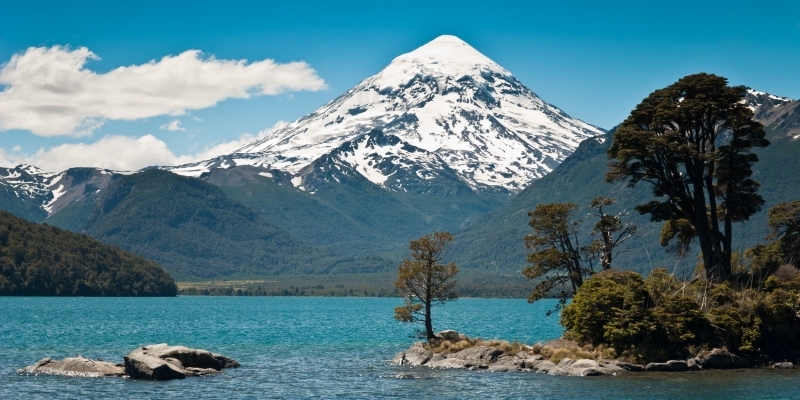 Any charter to Alaska should combine a trip around the stunning west coast islands and include locations such as Sitka, Chichagof Island, Tenakee Springs and Red Bluff. Taking Sitka as a starting destination, when you dock in this beautiful island you will be given a stark reminder of Alaska’s 135-year-long relationship with the Russian Empire. This gem of a city, which kisses the Pacific Ocean on Baranof Island’s west shore, is one of the oldest non-native settlements in the state and the former capital of Russian Alaska (when it was known as New Archangel). Serving as the midpoint between Sitka and Juneau, Tenakee Springs is known as a village with a modern, and alternative lifestyle. One of the more unusual sights is the free public bathhouse at the end of the ferry dock – a natural spring provides the water used for bathing, and most of the islanders will take one per day in this picturesque and rural land area. Every Alaskan luxury yacht journey should stop off at Juneau. Not directly accessible by road, this remote location attracts around one million visitors each year, and it’s not difficult to see why – you’re unlikely to see such a quirky state capital anywhere in the world. 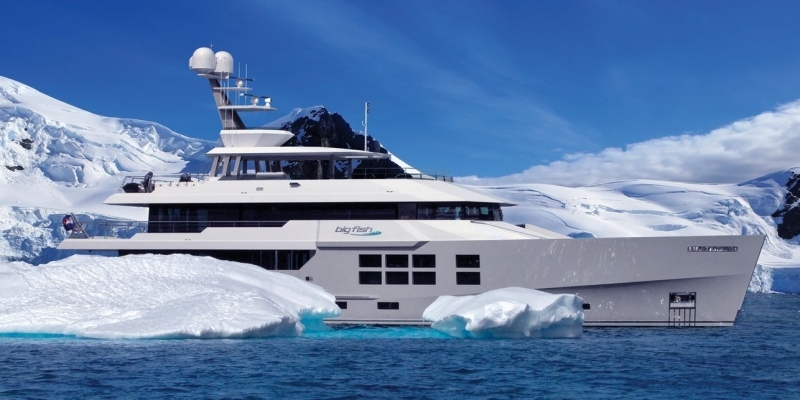 Why charter a yacht in Alaska? Part of the attraction of a destination like Alaska is its isolation and seclusion. Exploration by yacht is perfectly suited to this part of the world because the majority of the interior is inaccessible by road. So why not explore this incredible and unforgiving landscape whilst in the luxurious surroundings of your privately chartered yacht. It is so very different to all the other chartered yacht experiences in Northern America that it goes without saying that those are looking for something very different, a discovery of themselves and somewhere to find it in one journey, this is your best starting place. 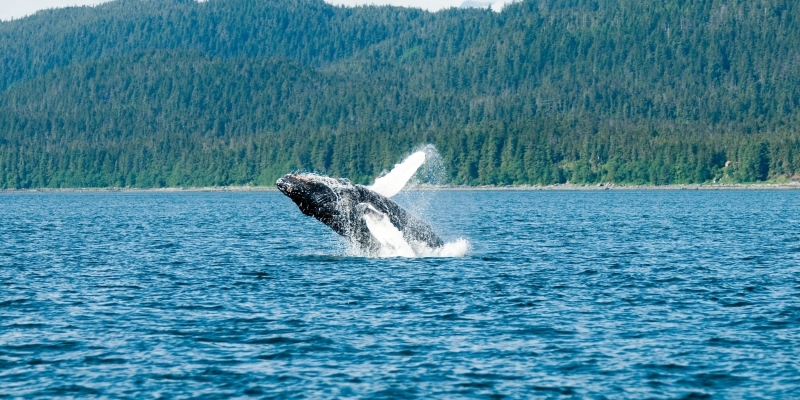 Chartering a yacht in Alaska is the perfect way to experience some of the most remote parts of this region, which are home to some of the world’s most stunning natural beauty spots and eye-catching wildlife. The weather in Alaska can vary greatly between each destination, as well as the time of year you travel. The low season is November through to March, the high season in June to August. The shoulder seasons include May and September. Tourism rates and travel permissions may be required, check before booking. It is recommended to take journeys in the shoulder season and beginning of high season. Avoid low season where weather conditions drop considerably. The currency for Alaska is the US Dollar, and English is the region’s most common language. You can access most of Alaska by both sea and air, but once there the roads can be quite remote and sometimes inaccessible. That’s why setting sail and exploring by yacht to is the best way to experience everything the area has to offer, and make this the holiday a lifetime. Princess Charter offer a variety of yachts for charter along America and its islands, ranging from 20 metres to 100 metres in length.